Hal has always wanted a dog, but his spoiled, rich parents will give him anything but. When his father gets the idea to rent a dog from Easy Dogs, assuming that Hal will get tired of the animal by the time it has to go back, Hal ends up bonding with Fleck and being distraught when the dog is returned. He is so distraught, in fact, that he goes to the business with the idea of stealing the pet. Luckily, the kind assistant's sister, Pippa, is working that day, and not only frees Fleck, but lets several other dogs go as well. When they all follow Hal and he can't get on the train to his grandparents', he calls Pippa and the two of them take off across England with the dogs. 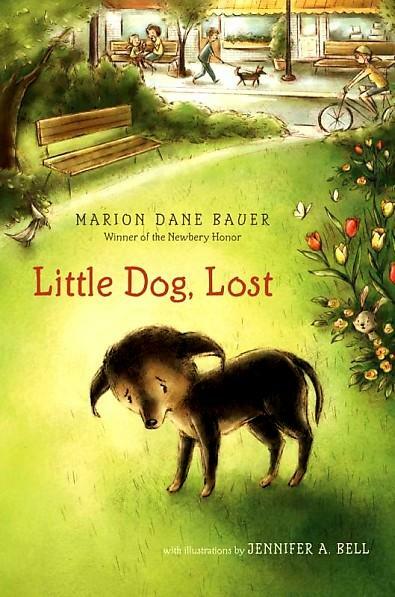 They end up in all sorts of unusual places-- a traveling dog circus, and orphange, and a farm. The dogs, all of whom were traumatized both by being removed from families after a day or two AND by not being able to do their work as dogs, all find soul mates along the way, but continue with the group. Will Hal's grandparents take them in? What will happen to Easy Pets? And will Hal and Fleck get to stay together? Strengths: This was surprisingly charming. Ibbotson's fantasy books were never my favorite, but this last effort of hers (she passed away at age 85 in 2010) is extremely touching and full of adventure. Definitely buying for my increasing number of students wanting dog stories. Weaknesses: Hal's parents are over the top; I would have enjoyed the story if they hadn't been so cartoonlike. Bauer, Marion Dane. Little Dog, Lost. Mark has always wanted a dog, but his overworked, single mother has always said "NO!" very firmly. He decides that since he can't have a dog, he should get the town where he lives (and where his mother is mayor) to put in a dog park so that at least the dogs he knows are happy. 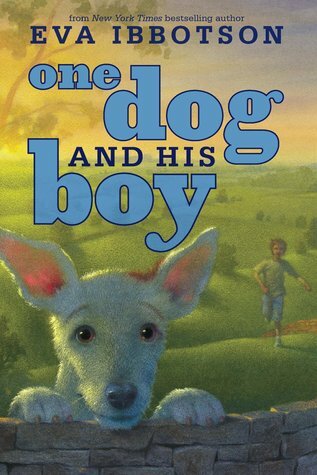 At the same time, Buddy the dog is left with a woman in town by his loving boy who has to move to the city. While the woman takes care of his needs, she doesn't understand Buddy, who know that her boy is out there somewhere and so digs under the fence and escapes. Also in town is lonely Charles Larue, the caretaker of a big house on extensive grounds in the middle of town. Of course, the three manage to get together. Can Mark find a dog, Buddy a home, and Charles a reason to get out of bed in the morning? Strengths: Very sad, but ultimately happy. The illustrations are very sweet, and Mark's longing for a dog and Buddy's longing for his boy are palpaple. 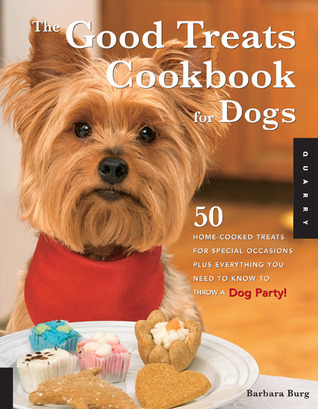 My dog got lots of tummy rubs while I was reading this! Weaknesses: Novel in verse, for no particularly good reason. Read aloud, you would not know it was verse. Since students (at least in my school!) literally shrink back from books with pages that look like poetry, I don't know why this was used. Perhaps this will go over better with younger students. Reisfeld, Randi. What the Dog Said. Grace is helping out her older sister with a college application project-- adopting a dog from a shelter and training it to be a service dog. Regan isn't very interested in the dog part, and since she is into fashion, is tending toward a cute little maltipoo. One of the dogs, however, TALKS to Grace and asks to be taken home. Grace is so taken aback that she agrees, and Rex goes home. Regan feels that Grace needs the distraction of the dog because while the family has suffered after the shooting death of their policeman father, Grace has taken it the hardest. Grace takes Rex to be trained and runs into JJ, who may know who was responsible for Grace's father's death. As Rex becomes trained, Grace tries to figure out how JJ was involved. Can she make peace with Rex, JJ, and the past, and move on with her life? Strengths: This has a little of everything going on-- some good dog training, a little mystery, and a problem as well. I love the cover! Weaknesses: Does the talking dog send this over to sci fi/fantasy? I imagine it does. Or does Grace just think that the dog is talking to her? Hmmm. Tua lives in Chiang Mai, Thailand, with her very busy single mother. 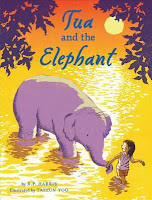 Tua's favorite thing is to visit the market, and one day while there she finds a young elephant who is being abused. Of course, she takes the elephant with her, and goes to her Auntie Orchid's house, and the two decide to take the elephant, which Tua names Pohn-Pohn , to the religious order that Auntie's brother is joining, because it has more room. They manage to evade the elephant's irate owners, and are eventually put into contact with an elephant sanctuary, where Pohn-Pohn is welcome to stay. Will Tua get to be with her new found friend? 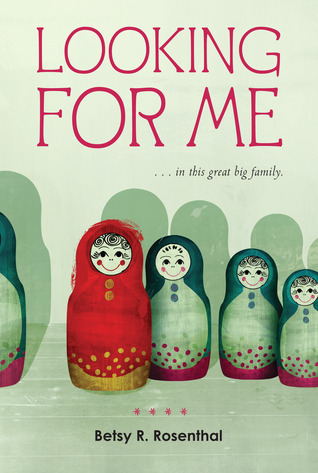 Strengths: This is a charming book and a nicely atmospheric story about an exotic (to us!) part of the world. The illustrations by Taeeun Yoo remind me of ones from my literature books in grade school-- very nice. Weaknesses: This is also a bit young for my students but would be great for elementary libraries. It's Marvelous Middle Grade Monday, a feature started by Shannon Whitney Messenger. See the round-up over at her blog, Ramblings of a Wannabe Scribe. And here's a random question for the day: Which fictional pet would you like to have for your own? Even though I don't like rodents, I always wanted a white mouse like Miss Bianca from Margery Sharp's The Rescuers. 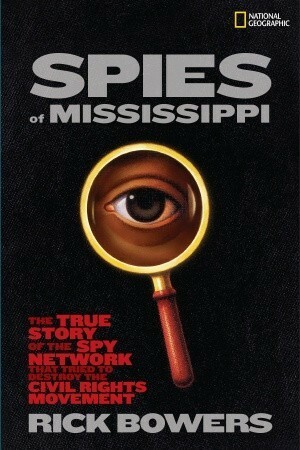 (Still in print; just bought a beautiful hard cover copy.) We even named a hamster Miss Bianca. I think it was the Garth WIlliams' illustrations. Bial, Raymond. 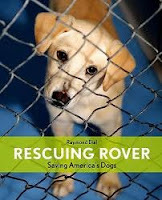 Rescuing Rover: Saving America's Dogs. While 39% of the homes in the US have at least one dog, there are many more dogs that do not have homes. This book explains why there are too many pets, and what animal shelters, rescue groups, and individuals can do to help. Well-illustrated with heart breaking pictures of rescue dogs, this is a matter-of-fact description of a sad failing of our society. Different animal welfare groups and their work are profiled, and the adoption process is explained. Animal shelter policies, internet resources, and a bibliography are included. At 80 pages, this is just the right size for nonfiction. The downside-- it's hard to read this book without wanting to go to a shelter and bring home another dog, but I don't think that Sylvie would approve! This was a title that I got from one of our elementary libraries that is being closed down. 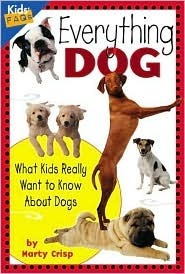 It is a short book with a variety of interesting facts about dogs, with plenty of appealing pictures. It addresses topics such as why dogs wag their tails, what color dogs' skin is under their fur, how long their memories are, and why do dogs lick people? (I did not know that the temple of Asklepios had dogs that would likc people to cure them of various ailments!) Of course, I probably already knew that dogs like us because we can scratch places on their backs that they can't reach. Sadly, this book appears to be out of print, but dust it oss to hand to a reluctant reader if it is in your library. It's Nonfiction Monday! This week's Round-Up is at Gathering Books, where they have a great post on a lot of books about extraordinary women. Gabie was supposed to be making deliveries for Pete's Pizza the night that Kayla too her shift and her car was found abandoned. Drew feels guilty because he took the call for the bogus order, but can't remember the voice. This story shifts point of view from these three characters (so we know what has happened to Kayla), as well as to various different people involved in the story, such as Cody, who is an addict questioned by police; Gavin, a search and rescue diver, and "John", the man who kidnapped Kayla. Because the readers have all of these view points, we know a little about what is going on, but Gabie and Drew try to find Kayla, and there is doubt about whether they will find her in time to save her. 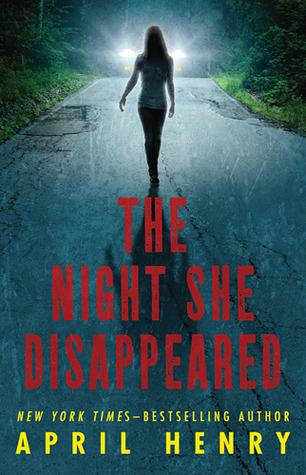 Like Teri Field's Holdup or Cadnum's Flash, this is an interesting take on a kidnapping mystery. Strengths: Like this author's Shock Point (from 2006! ), this story is not a pleasant one, but one which my students who like murder mysteries will pick up. Definitely buying this one. Weaknesses: Not my cup of tea. When I read mysteries for pleasure, I always pick up the "cozies", so this was a bit much. Not anything overly violent, no language, brief kissing between Drew and Gabie. My fantasy amnesia makes it very hard to remember Graceling(2008) or Fire (2009), other than that I liked them and was excited to get Bitterblue. It took me the entire Easter weekend to read this, mainly because teenagers were having Disney song fest and it was hard to concentrate, but also because I got caught up in the characters and couldn't zip through it. Bitterblue is now 18 and trying to reclaim the kingdom her father Leck destroyed. She wants to be a fair ruler, unlike her father, and understand the workings of her kingdom so that she can help the people. She starts to sneak out at night to see what is really going on, and meets Saf and Teddy, printers and outlaws who are bent on stealing back things that were taken under Leck's rule. Katso and Po are helping Bitterblue with her work, as are a variety of advisors, including Death (pronounced Deeth), the librarian who has the Grace of reading everything superfast and remembering it all. This comes in handy when he tries to recreate all of the books that Leck destroyed, and also when Bitterblue unearths her father's disturbing journals, that turn out to be not only in ciphers (like the embroidery that her beleaguered mother left) but in another language entirely. Through Saf, Bitterblue comes to understand how poorly her kingdom is run, but also runs into some danger. None of the people she knows seem to be who they say they are, and she uncovers secrets that make her allies her enemies and vice versa. 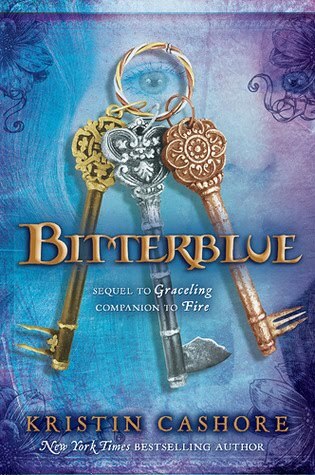 This book stood on its own as the story of Bitterblue and the kingdom of Monsea, and if I remembered more about the other two, I would have appreciated the inclusion of Katsa and Po, and well as Fire's appearance later in the book. These still remind me very strongly of Pierce's Alanna books. Strengths: I was drawn to the character of Bitterblue. She had a horrible past to overcome and was trying to do so, even though she had few advisors that she could trust. Her relationship with Saf was understandable, as were his reactions to finding out who she was. The kingdom was fully developed. Weaknesses: This is a very long and convoluted story; definitely high fantasy. It also seemed odd that the people of Monsea knew so little about the countries outside of their own. Like the other two books, there is mention of contraception and one scene where Saf and Bitterblue spend the night together, but drawn so vaguely that younger students will skim right by it and not know what happened. If I had checked the following books out of the public library, I would just have gone "meh" and returned them. What disturbs me a little is that I got more than one ARC of some of them, so the publishers are putting major weight behind these titles. They will be everywhere. As always, the opinions expressed are what I feel works and doesn't work for my particular library. These may work for your. Just take a close look at them before purchasing. 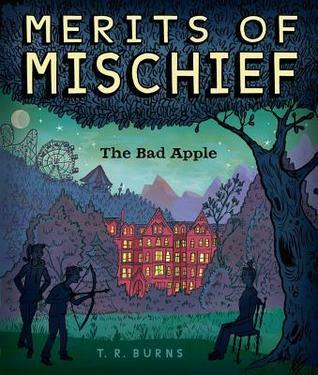 From the Publisher:"The start of a mischievous new middle-grade series has trouble written all over it. Twelve-year-old Seamus Hinkle is a good kid with a perfect school recorduntil the day he accidently kills his substitute teacher with an apple. 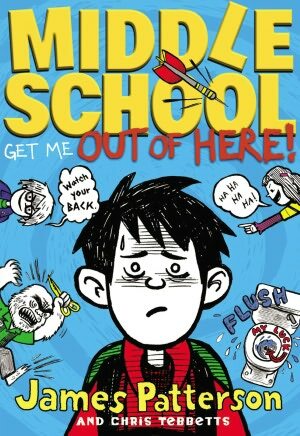 Seamus is immediately shipped off to a detention facilityonly to discover that Kilter Academy is actually a school to mold future Troublemakers, where demerits are awarded as a prize for bad behavior and each student is tasked to pull various pranks on their teachers in order to excel. Initially determined to avoid any more mishaps, Seamus nonetheless inadvertently emerges as a uniquely skilled troublemaker. Together with new friends Lemon and Elinor, he rises to the top of his class while beginning to discover that Kilter Academy has some major secrets and surprises in store..."
What I Liked: This author does great realistic fiction for girls under the name of Tricia Rayburn. Thoughtful, intriguing, really good. Why This Didn't Work: There is little need for methadone for Lemony Snicket addicts-- by the time my multiple copies fall apart, the books will have had their day. I could not buy the premise of Kilter Academy at all. Perhaps it is an elementary school thing that I didn't understand? Turnage, Sheila. Three Times Lucky. Moses LeBeau was saved by her "upriver mother" from a storm when she was put into a basket, lucky that the Colonel found her, and lucky that Miss Lana took her in and is raising her-- even if this means that she is often left alone by the two of them for days and expected to run the town diner, where the citizens are okay with getting peanut butter concoctions and Mountain Dew as meals because they know that Mo is often left to run things. But this idyllic world could be shattered by an interloping police detective and a murder charge. Can Mo and her friend Dale Earnhardt Johnson III find the truth and save the day? What I liked: All the cool kids read it, including Barbara Watson. Everyone seems to think this is fantastic. Why This Didn't Work: Quirky Southern to the extreme. Blurbed by two authors whose books I could not stomach. I could not suspend disbelief long enough to think that the townspeople were okay with Mo being alone as long as she didn't use any hot applicances in the diner. None of my students ask for this sort of thing, although I had a brief hope that the murder mystery might be intriguing. Ah, the Notebook Novel. If you deal with middle grade boys, you probably can't keep enough of them around. I don't know whether to laud or asperse Jeff Kinney and his Wimpy Kid books for fueling this trend. Like anything, all sorts of literature are good in moderation. Wimpy Kid books strike me a bit like Reeses Puffs cereal-- it's not real food, so you can't really justify a big bowl for breakfast, but it's better than potato chips for an after school snack. As long as my students are reading other books as well, I'm all for a Friday afternoon spent reading Nora Roberts.... I mean Wimpy Kid. We all have our indulgences. Anyone need a list of Notebook Novels? I should make one, just have no motivation. The overheads have already started a mini flock, and today is the last day of testing. Everyone should just be glad I am not in my pajamas! I'm hoping they don't use the library for make up testing next week-- a room with an entire wall of glass windows facing the cafeteria and with 11 doors, into which all of the students (who can't read "Keep Out! Testing!" signs) want to flee is not a great place to put five children who need to take a high stakes, let's-all-be-quiet test! Call me crazy. Peirce, Lincoln. Big Nate Goes for Broke. Nate is glad that he and his friends have been allowed to put together the only cool club in the school-- the Doodlers. When their advisor says that they need to recruit girls, Nate approaches DeeDee, who (while a bit dramatic) has done awesome posters for the dance. Unfortunately, DeeDee thinks that Nate is asking her to the school dance, so he gets roped into going. While there, Nate is impressed that DeeDee is actually pretty cool-- she tells everyone they are there just as friends, rescues Nate when someone steals his clothes, and generally has fun with him. When their school suffers severe water damage, the students have to have classes in portables at the rival Jefferson Middle School, Nate and his friends vow to beat the overachievers there at something. Nate suffers a broken arm that makes it hard for him to draw, but a little thing like that can't keep a boy like Nate down. Strengths: Nate is so well-meaning but unlucky that I do adore him. It's hard to write a sympathetic character who gets into trouble all the time, but Peirce does a fantastic job. I like DeeDee's character a lot! He also is very adept at writing a coherent story line, and the drawings are an organic part of the story. These are my favorite notebook novels. Weaknesses: The school building being closed down, and the rivalry between schools seems unrealistic, but is not annoyingly so. Patterson, James and Tebbets, Chris. Middle School: Get Me Out of Here. 7 May 2012, Little Brown Books for Young Readers. When the restaurant at which his mother works burns down, the family moves from Hills Village to the city, where they stay with Rafe's grandmother in her crowded house. Rafe is bummed that he won't be able to go to Airbrook Arts, but he applies for Cathedral Art School and gets in, much to his surprise. He has trouble fitting in at first, especially since all of the students seem to excel academically and it's a lot of work. He also runs afoul Zeke and Kenny, who trash his locker with green paint, but makes a good friend in Matty the Freak, who unfortunately gets him in a fair amount of trouble. Rafe is also curious about what happened to his father, and since the local scary barber turns out to be Rafe's great-uncle, he hopes to get some answers. It all becomes too much, and Rafe steals money and takes a bus back to Hills Village (with his imaginary friend, Leo).Will Rafe be able to stay in Cathedral, or will his bad behavior and poor grades cause him to get kicked out? Strengths: The cover alone will make students pick this up, and ANY notebook novel is popular with students. Weaknesses: This is like Fruit Loops. Bright, attractive, supposedly has added vitamins and minerals, but essentially, not the best stuff. Rafe was unlikable, because he knew what he needed to do to succeed, and basically chose not to. I couldn't believe the story line about his mother not telling him about his father. Big Nate is a much better alternative, and I have to give Jeff Kinney credit-- as much as I personally dislike Greg Heffley, Mr. Kinney does his own pictures and popularized a new book format. And yes, we need to mention http://www.wimpyourself.com/ . Marissa Moss' Amelia's Notebook came out in 2002; can anyone think of a Notebook Novel before that? Fruit Loops are okay for breakfast occasionally, but not as a steady diet. In her diary, Mallory details how she feels when she finds out that Jake, a cute fifth grader (she's in fourth) likes her. Her friends are all really excited, but when Jake calls to talk to her, he more frequently discusses ball games with her brother Max. When she accidentally accepts an invitation to Jake's party when she has already accepted an invitation to her friend April's party, she's not quite sure what she should do. She'd rather go to April's, but her friends pressure her to go to Jake's. She lies to April, which catches up with her later. Mallory realizes that she needs to do what she feels is right, and not necessarily what her friends think will be cool. Strengths: This was rather painful to read, because it sounds very much like my diary from 1975! (Hi, Shaun!) Pitch perfect take on how younger students feel about boys, and dating, and all manner of things. The Notebook Novel format will make it very popular as well. There is a whole series of these which would be great for elementary school. Natalie is not happy that she has to go to Camp Lakeview while her mother is out of the country-- she'd rather stay in New York City than to have to sleep on a thin mattress in a draft cabin, eat burnt French toast and shower in cold water every morning. There are some cute boys, and some of the girls in her cabin are okay, but basically the activities are all so juvenile, quaint and ... gross. Despite this, she has a decent time, getting into lots of scrapes with her new bunkmates. Natalie has a big secret about her father than she is trying hard to keep, but that proves impossible when he and his friend Josie show up to take Natalie away from camp is she is really miserable. Strengths: This has the same "beach read" appeal as The Clique series. Natalie is spoiled and very rich, and there is a fair amount of girl drama. One of my students who really likes Ellen Conford loaned this to me, and likes the whole series, so I will definitely look into buying the first couple and see how they do. Weaknesses: Like The Clique, this was a bit unbelievable and mean, but I think it will be popular. Also have a problem with a modern book having an eleven year old named Karen. When I was born, it was at #3, but in 2001 came in at #246. That said, my daughter's name doesn't even make the list for the year she was born! Rosenthal, Betsy. Looking For Me. In Depression era Baltimore, Edith is part of a hard working Jewish family with twelve children. She is the "little mother" and often has to take care of her younger sisters and brothers. Her favorite brother is Melvin, but when he passes away, her mother decides she will no longer work at the family diner with her father, so Edith is sent to work there instead. Edith really wants to make a success of herself in school, because her teacher tells her that she is smart, but things do not look good for a child from a large family at this point in history. Strengths: I enjoyed this because I liked All-of-a-Kind Family and other books about large Jewish families, and I learned several things about finances in the Depression. This is the story of the author's mother's life. Weaknesses: Novel in verse. Some actually rhyme, but like the vast majority of this type of book, it reads more like prose broken up in arbitrary lines. Finding a middle grade audience for this will be tough. Ella's mother is ill with cancer, so she is sent to the home of her quirky grandmother (known as GM), where she at least has the company of Rosie, the daughter of a man who works for GM. After a disturbance on the grounds one night (and there's a map at the beginning of the book), GM discovers that a valuable book has been stolen from their library; Kepler's Dream. Ella's grandfather, who was an astronomer and knew Michael Collins, valued the book, so Ella (who has nothing better to do with her time) decides that she will discover who the thief is. Her investigation involves research into a variety of books, and keeps her mind off her mother's sickness as well as the relative dysfunction of her relatives. Strengths: Have a feeling that this will get a lot of buzz and may even win an award. It has all of the elements that adults tend to like in middle grade books; quirky characters, a bit of history, clue-oriented mystery, and family angst. Weaknesses: I find that these elements make for a hard sell in my library, especially when the plot is rather slow paced. 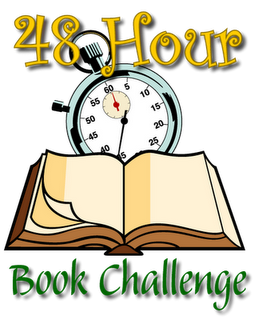 Most importantly, Motherreader's 48-Hour Reading Challenge has been announced! It will be June 8-10, which is thankfully AFTER graduation. I'm in! I look forward to this to a ridiculous extent. It's hard for me to play in the sandbox and visit other blogs, and I'm a total bust at the fund raising/social good portion of it, but it's a great way to steam through my TBR pile before the summer. Which is fast approaching. A month from today is our teacher work day. Before then I need to add a bunch of books from our two schools that are closing, go D.C. with the 8th graders, have all the books due on May 11, run book fair, give away hundreds of paperbacks donated by Half Price Books, shelf read and possibly inventory my collection, continue to badger students who have lost or overdue books, and have the annual Flocking of the Overheads. Whew! And that's just the stuff I can remember! Trevor is a major film star who lives with his wealthy parents in the lap of luxury. When he says he wants to play baseball, they arrange for his to play with the Dodgers. Not exactly what he meant. Sam, on the other hand, gets to play a lot of baseball and has the possibility of a pro career ahead of him, which would help him escape the life of trailer park poverty he leads with his English teacher turned screenwriter hopeful father. When Sam goes with his father to a movie studio, he goes to a casting call while his father is in a pitch meeting, and gets chosen to be a double for Trevor because of their uncanny similarity. Sam inadvertently makes Trevor's manager mad, but with the help of McKenna, another film star, the two boys switch places. Trevor gets to play ball, and Sam gets to try to act as well as enjoy all of Trevor's perks. There is a deeper mystery, however-- why do the boys look so similar? How long can the two pull off the switch, and what hidden family secrets will they reveal before they are through? Strengths: Green's books are hugely popular with my readers, and this will be no exception. While I don't care for the inclusion of the Mafia, or shady adoptions, the boys seem to revel in these things, and they do make for lively stories. The inclusion of Hollywood makes this one extra fun, and there are always boys who will read ANYTHING that has to do with baseball. Weaknesses: Again, the adoption story strained my credulity; why it's easier to believe that the boys just looked alike, I don't know. Tyler has to take summer school because he has failed English. He's upset that his mother has taken a job in another city, and he is afraid his parents will divorce. After class one day, he meets Kevin, who is fixing his bicycle to ride in a triathlon. Kevin has run into problems in school as well, but is trying to improve himself. He and his sister Samantha are training with their father and a swimming coach, who ends up being Tyler's summer language arts teacher. While Tyler is struggling to write about a challenge he is facing, he is also training for the triathlon, coming to terms with being away from his mother, and getting a handle on his anger. Strengths: This was probably my favorite Swan book so far. While Tyler is not likable at the beginning, his reasons for being surly are made clear, and he works through them. The triathlon training is more understandable than the cross country, which was different enough from United States training to confuse me a little. Weaknesses: Slightly predictable, but still a great story for struggling readers who want an easy sports story. I have LOTS of those readers! Time Slip Tuesday is a recurring feature at Charlotte's Library, and a great excuse for me to read time travel books! I also recently found another blog, Time Travel Times Two, that deals with the subject. Can we travel back in time to a decade where there is NOT state wide acchievement testing? Sigh. Stride, Lottie. 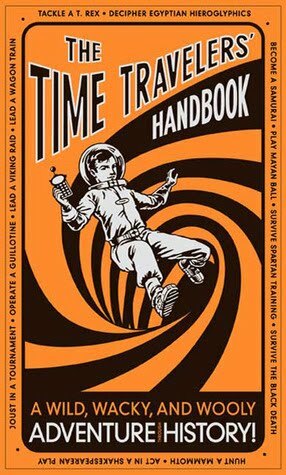 The Time Travelers Handbook. So, perhaps I talk about Time Travel a teeny bit too much, since one of my very sweet readers came across this and felt it had to be mine. It is a lovely overview of the most interesting parts of history-- it gives instructions for how to fry a dormouse witha Roman soldier (or a chicken breast, since dormice are now endangered), how to sweep a chimney, write hieroglyphs, etc. It covers a lot of the time periods our social studies classes study, and aside from the Minoan bull jumping chapter (my archaeology professors were of the firm position that this didn't really occur; it just made for good art), was historically sound. The illustrations by Dusan Pavlic are fun as well. I'm a little disappointed because it didn't really help with the time traveling mechanics, and that's what I really need. Perhaps this came boxed with the Time Travel Handset and I just didn't get it. Jon doesn't want to go to boarding school-- he blames The Beard, his mother's boyfriend, for making him go. 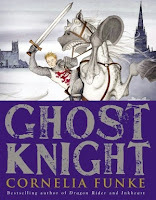 When he gets there, he finds out that the ghost of Stourton, who has spent generations hunting down members of Jon's family-- and now he and his ghost henchmen are coming after Jon. 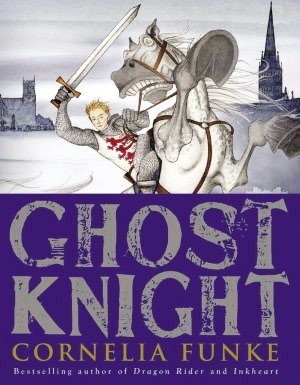 Luckily, Ella, a girl in his school, takes his haunting seriously, since her grandmother gives ghost tours, and the two seek the help of a dead knight, William Longspee, who is buried in Salisbury Cathedral. They make a deal-- Jon will help Longspee get his stolen heart back and bury it at the feet of his wife (also named Ella), and Longspee will help Jon dispatch the evil Stourton. Things get complicated when The Beard turns out to be Ella's uncle, and all of this ghost business keeps getting Jon in trouble at school. Will Jon be able to avert the curse, or will his death finally settle Stourton's blood lust? Weaknesses: Audience is a bit tricky. Just about any elementary fantasy reader would pick this up, and maybe Charlie Bone/Harry Potter fans who want a boarding school story. I really liked this one and would like to buy it, but I am not entirely sure about it for older students. Scarrow, Simon. Fight For Freedom. Marcus has a good life on his father's Roman farm until his father refuses to repay a loan and beats up the goons sent by the debt collector, Decimus. Decimus later retaliates by having Marcus' father, a former Centurion, killed, and Marcus and his mother enslaved. Marcus manages to escape being sent to a remote farm with his mother, but after he stows away on a ship in order to get to Rome, he is sold to Porcino, a lanista who wants to train him as a gladiator. Life in the training school is hard for Marcus, who at eleven is far younger and smaller than the other fighters. He makes an enemy of the Celtic Ferax, but has allies in the cook Brixus, the simple minded but kind Phyrus, and the street savvy slave Pelleneus. Marcus is determined to break free and find his father's commander and explain what has happened to his mother, but he struggles to survive training and the beatings of Ferax. The feud between the two draws the attention of men planning a private fight, and Ferax and Marcus end up in a fight to the death. After Marcus wins and defiantly refuses to kill Ferax, he is pitted against wolves in the arena. Portia, the neice of Julius Caesar, is in the front row of spectators and falls into the arena. Marcus saves her, and is bought by Caesar. Before he heads to Rome, however, Brixus shows up and tells him shocking news about Marcus' past. Will he be able to use this knowledge to save his mother? We'll find out in (SQUEE!) Street Fighter. Weaknesses: Eleven seems very young for such adventures. Must be a British thing. Some of the spies in Muchamore's Cherub series are nine. 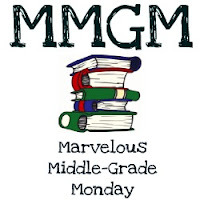 Marvelous Middle Grade Monday is hosted at Shannon Whitney Messenger's Blog and always has great links to lots of reviews. During the Civil Rights movement, there were a lot of people with positions of power in the governments of Southern states who were adamantly opposed to segregation, and who had a lot of public support from their constituents. This was, after all, the reason that the fight was so heated. People's opinions had to be changed. It is not surprising, then, that the government of Mississippi was originally opposed to segregation and had entire commissions devoted to keeping the status quo, and that when the Civil Rights movement proved to be more successful than these efforts, that the government locked the files away in a basement and refused to let them be seen. Mr. Bowers got access to these files, and did an excellent job of poring through them, extricating the most interesting bits, and setting them in historical context so that the information is accessible to middle to upper grade readers. The conversational, almost shocked, tone of the writing makes the events seem more intriguing, and while the research behind this writing is evident, the text hits the highlights and doesn't wallow in details. My only regret about this book is that the format does not make it appealing to the casual reader. This is even more surprising given that it is a National Geographic title. Had this been accompanied by pictures of important historical figures, events, or even the times in general, it would have been much more appealing. Recent history lends itself to a photojournalistic format, such as that employed in Today the World is Watching You, or We've Got a Job. The cover of this is also dark and somewhat confusing. This could have been an excellent addition to a Civil Rights collection, befitting Mr. Bowers' excellent research, but was disappointingly laid out. Nonfiction Monday was developed Anastasia Suen and is hosted this week at Books for Learning. Nonfiction Monday will be hosted here on 14 May. Cat is not happy that she has to move in with her father and his new family because her mother will be up in a space station. 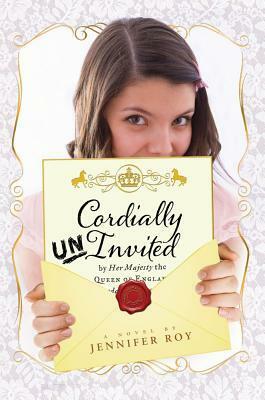 She likes her stepmother and half brother, Geoffrey, but her stepsister Olivia is evil. They have to share a room and are constantly bickering. After Cat's rather odd Great Aunt Abyssinia comes to visit, the situation gets worse-- every time Cat speaks, toads come out of her mouth, and jewels and flowers fall from Olivia's lips. The girls don't know what to do, but when Geoffrey is kidnapped by thieves who want Olivia's jewels, they realize they have to work together to get him back. Strengths: This was a funny retelling of a classic fairy tale, and was girly enough that readers who don't want to read fantasy but have to for a class project will like it. I liked the depiction of Cat's stepmother, although wanted to slap both Cat and Olivia a lot of the time. Weaknesses: The toads on the cover are much too big! While I think my students will like this, it didn't do a whole lot for me. Not sure why. Fredericks, Mariah. 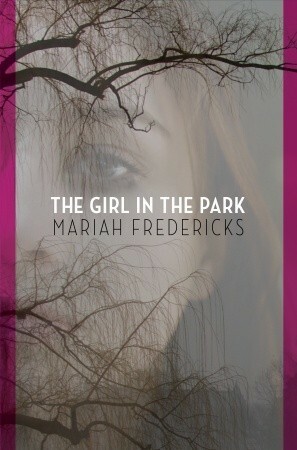 The Girl in the Park. When Wendy's mother calls Rain very early in the morning asking if Rain saw her former friend at a party the night before, we know something is wrong. When Wendy's body later shows up traumatized at a playground in Central Park, the girls' entire private school is thrown into chaos. At first, police suspect a vagrant in the killing, but soon Nico, a popular boy whom Wendy was trying to steal away from Sasha, becomes a suspect because of Wendy's interest in him. Rain is very effected by the murder, since she missed her friend and now feels that there is no one really sticking up for Wendy due to her increasingly skanky behavior. Rain tries to follow clues that a reporter gives her, tries to get help from teachers, and above all, tries to help the world understand that Wendy was more than her violent death. Strengths: It was interesting that Rain has a cleft palate and is uncomfortable with her own speech. I don't know of any other books where a character is facing this issue, although I have had a couple of students with repaired cleft palates.This was an absorbing mystery with a fair amount of plot turns, and the nastiness of the high schoolers will make this popular. This is, however, definitely a high school book. Weaknesses: Wendy's sexual behavior is alarming, and the inappropriate relationship that lead to her death is one that I could see coming. Again, high school. This could have been middle school with a few tweaks until I found out who the murderer was. That said, I have one student who is reading V.C. Andrew's Flowers in the Attic(1979) series. Such a totally creepy and inappropriate series, and yet at one time I personally owned all four books, and everyone who is about my age read them! Oh, to be in England. Claire is very excited that she gets to go to her cousin Belle's wedding... and even more excited because her cousin is marrying the future king of England and she gets to be a junior bridesmaid. She's kept the secret for the longest time while the two were dating, but the connection is leaked to the press and the paparazzi arrive at her house, so she and her mother go over earlier. While she is very glad to see her cousin, she is also interested in one of the young boys who is also going to be in the wedding. She is less than thrilled with Pandora, who is also a junior bridesmaid but for some reason thinks that she is fated to marry the prince and who tries to sabotage the wedding! There's a lot of London sight seeing, meeting of royals, and a budding romance for eleven year old Claire. Strengths: This was very cleverly done. The royals are not really named, and described in vague ways that make them align a little with Prince Elizabeth, etc., but not so much that it will cause the book to be dated. The London descriptions are wonderful, and the rivalry with Pandora fun. The depiction of Belle as a loving cousin and commoner trying very hard to fit in are nice touches. Enjoyed tremendously. Weaknesses: This would have been much more successful if the girls had been much older. I can't really buy romance books with eleven year olds as main characters. The Pandora story line especially was hard to swallow. 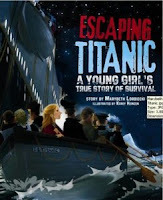 Had the girls been about 17, it could still have been a book that middle school students liked (they like reading about older girls, anyway), and would have seemed more plausible to me. Robin is fed up with her life-- she bonks heads with her younger sister and gives herself a black eye right before a big swim meet, doesn't do well, and then finds out she has head lice, so her birthday party is canceled. Blowing out the candles, she wishing she were someone else, and soon finds herself in England as Fiona Walker. Fiona is gorgeous, has quirky, artsy parents, and is starring in a professional stage production of Peter Pan. Sure, it's hard to figure out what's going on at school, Fiona's sister Jolene is really mean, and she finds herself missing her family. She turns to the computer to solve her problems, communicating with her brother's girlfriend Alia and finding out that she is a Wisher-- and eleven year old girl who has switched bodies. This apparently happens all the time. An India girl named Neera is in Robin's body, and Fiona is in the body of a Japanese gir, Naomi Nagata. Through a Facebook group, all of the Wishers try to coordinate how they can get back home, but once they realize that their twelfth birthday will mean the end of the ability to change, and since Naomi's birthday is very soon, they have to figure out a way to switch back. Will Robin be able to make it in time, or will she have to be Fiona forever? Strengths: Lots of good details on British language and habits, and an interesting take on wanting to switch lives. Will buy this one to fill the need for books with magical realism, since there is also a little romance. Weaknesses: Marginal cover, and again, I wish the main character were about 13, in order to make the romance seem more realistic. I personally dislike the use of texting and the reliance on Facebook, since that will date the story, but girls now will like it. I also was slightly confused by the large number of Wishers and found myself doubting that they would really be able to return to the right body! Sherlock is enjoying a quiet life with his aunt and uncle when his brother Mycroft shows up. Mycroft doesn't really want to talk to Sherlock; he's more interested in discussing the possibility that John Wilkes Booth has gotten out of Japan and is now in England with Sherlock's American tutor, Amyus Crowe. In his typical fashion, Sherlock goes off to investigate the house where Booth supposedly is holed up, and ends up sending the group packing... with his friend Matty in tow. Mycroft decides that in order to catch Booth and his cronies, Sherlock, Amyus and his daughter, Virginia will go to the US. Off they go on a boat, but of course they are being watched. Sherlock manages to dispatch that spy, and the trio land in New York. There, they have a lot of luck and manage to find Matty, but eventually get captured by the crazed Duke Balthassar, who is using leeches to manage his rare blood disease. Balthassar is the one who is trying to use Booth to rally pockets of Confederate sympathizers, and has managed to rally an army in Canada. When the US government finds out about this, they are willing to use the new technology of balloon travel to bomb the troops, but Sherlock believes there has been enough death. Can he stop the destruction and save his friends? What will Mycroft think? And will Sherlock ever get to kiss Virginia? Perhaps we'll get to find out in the next book, Black Ice. Strengths: Both this and Death Cloud were beautifully written and evocative of a period of English history that's easy to romanticize. Country manors. Traveling on magnificent cruise ships. Mmmmm. Oh, then there's the action and adventure, with plenty of chases and fighting, to keep the boys interested. Now I really want to read Horowitz's House of Silk. group packing... with his friend Matty in tow. Mycroft decides that in order to catch Booth and his cronies, Sherlock, Amyus and his daughter, Virginia will go to the US. Off they go on a boat, but of course they are being watched. Sherlock manages to dispatch that spy, and the trio land in New York. There, they have a lot of luck and manage to find Matty, but eventually get captured by the crazed Duke Balthassar, who is using leeches to manage his rare blood disease. Balthassar is the one who is trying to use Booth to rally pockets of Confederate sympathizers, and has managed to rally an army in Canada. When the US government finds out about this, they are willing to use the new technology of balloon travel to bomb the troops, but Sherlock believes there has been enough death. Can he stop the destruction and save his friends? What will Mycroft think? And will Sherlock ever get to kiss Virginia? Perhaps we'll get to find out in the next book, Black Ice. Weaknesses: Sherlock's luck strains credulity, but that's what makes young adult literature so much fun. Even the realistic fiction is rather fantastic! Horowitz, Anthony. The House of Silk. After Sherlock Holmes' death, Dr. Watson recounts the most horrific tale of their investigating career, one which he wants sealed for 100 years after his death. Edmund Carstairs, an art dealer, seeks the help of the two because he believes he is being stalked by Keelan O'Donaghue, the head of the Flat Cap Gang, which was behind a train robbery that resulted in the loss of several very valuable paintings Carstairs' gallery was selling in the US. Back in London, Carstairs fears for his safety, and that of his new wife. When Sherlock investigate, he finds that seemingly unremarkable people in Carstairs' case seem also to be involved with an organization called the House of Silk, which is tied to horrific murders. Sherlock's brother Mycroft tells him to let it be, since his sources indicate that high level officials don't want this matter looked into, but of course this is not the case. Sherlock is framed in the death of a young girl and is in the most precarious position of his career. Plenty of twists and turns lead up to the conclusion of the mystery. Strengths: This is definitely an adult novel, and it is a brilliant continuation of the Holmes chronicles, embracing Doyle's style in both style and theme. Horowitz has clearly read and researched in order to do justice to this character. Weaknesses: The conclusion of the mystery precludes this from being included in a middle school collection, although high school could probably handle it. Nothing is described graphically, but the topic is still not really appropriate. So, I'm not one to complain about Facebook switching everyone to timeline. Things change. Blogger is free. But this messes up my day, Blogger. I can't find anything. (Okay, so I found the blogs I was following. But still. Thanks for the warning and all, but I LIKED the old version.)? This looks like a stripped down warehouse version of Blogger, and I don't like it! 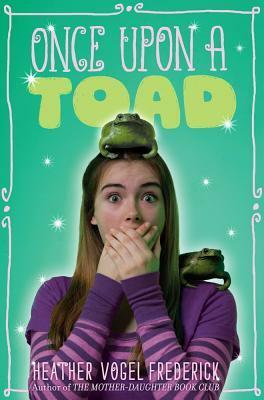 Jaden loves living in Vermont with her mom, a scientist who studies frogs, but when her mother needs to spend the summer in Costa Rica, she's excited to spend the summer with her father, stepmother and baby half sister in Placid Meadows, Oklamhoma. This is a community that her father's company, StormSafe, has created in a world that is constantly rocked by tornadoes and hurricanes. At a vague point in the future, the weather has become so bad that children no longer are allowed to ride their bikes, all houses have safe areas, and crops are predominately "DN-ature"; hybrids produced to be grown more quickly and uniformly. Jaden gets accepted into a summer meteorological program that StormSafe runs for children, and meets Risha, Alex and Tomas, who are all interested in figuring out how storms work as well. For Alex, it's very personal, because his family runs a farm that is quite battered by the storms, but which they do not want to sell to StormSafe. When Jaden is trying to figure out how to run her storm simulations, she runs across information that leads her to believe her father might not have the best interests of everyone at heart. Can Jaden and her friends safe Alex's farm, or will the increasingly bad storms wipe out everything they love, even Placid Meadows? Weaknesses: Messner deserves better covers. And I wasn't wild about the name Jaden for a girl, even though it has a good, futuristic quality to it. Mac is back, and things are bad at his school. There is a huge problem with animal poop in lockers, and there's lots of work for that. The cafeteria food is now delicious, but horribly unhealthy. A girl approaches Mac for help in getting a teacher who seems to have a vendetta against her fired, and the school has the all-important SMARTS tests coming up. Worst of all, the new principal is closing in on Mac's deserted bathroom, and the business is in danger of being shut down. Can Mac save the school before this happens? Strengths: Even though this book is standing directly on the line of annoyingly goofy, it never steps over. 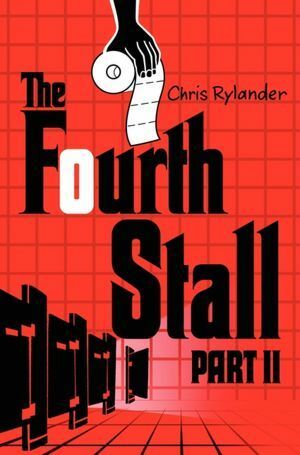 It's funny, fast-paced, and will be snapped up seconds after it hits the shelf. I liked this better than the first book. Weaknesses: *Spoiler Alert* When Mac and his friends break into the office and change test answers, I practically started to hyperventilate. Even though I think the Ohio Acchievement Assessments are a huge waste of tax payer money, we take them seriously. Deathly seriously. Like if anyone other than the test taker so much as touched another answer sheet with an eraser, I think alarm sirens would go off in my building. When tests are being given, our building just shuts down. Children have to be escorted to the restrooms, we have to sign that we understand the rules in blood-- it's awful. So when Mac changes answers, my only thought was "Who's going to lose their job over this?" After the death of their parents, Scott and Gregg move from California to Colorado to live with their uncle Rocky, who runs a business taking people on canoe trips on the river. Money is very tight, so the boys are expected to pitch in with the business and learn to be guides. Their uncle is used to living alone and has high expectations for their behavior. Scott, who is eager to please and does well in school, tries to make the best of the situation, but Gregg, who is 17 and thinking about college, is not happy and very confrontational with the uncle. 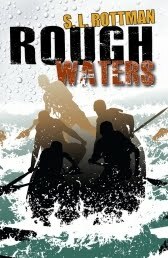 Gregg starts hanging out with the wrong crowd, which makes his work on the unpredictable river even more dangerous. Strengths: Rottman's Stetson is always popular with my 8th grade boys who want something a little more mature but still accessible for middle school students. With it's touch of romance, and large amount of outdoor adventure, this will be a popular book as well. Weaknesses: I thought this one read like an older title, which it is. I am somewhat suprised that my library didn't have this one, and felt slightly duped that this one was available on Netgalley because of the republication. Still a good book. Time Slip Tuesday is a recurring feature at Charlotte's Library. Mary's grandmother Emer is very ill and in the hospital. Her mother, Scarlett, is trying to come to terms with her inevitable death. Mary is sad that her best friend has moved away, but meets the new neighbor, Tansey, an older woman who seems somehow familiar. It turns out that Tansey is really Mary's great grandmother, who died of the flu in the 1920s, and has come back as a ghost to help Emer. When Scarlett finds out about this, she arranges for Emer to get out of the hospital for a little bit, and the four travel back to the farm where Tansey and Emer lived. Strengths: This is a hugely atmospheric book-- I felt like I was having tea in Mary's Dublin kitchen! I didn't know that Maeve Binchy's books were particularly Irish until I read this. There is something about the cadence and the emphasis on multiple generations of families that is similar. I will look up some of Mr. Doyle's adult books. Weaknesses This would be a hard sell. It's not a spooky ghost story, it's not quite history, and it's very gently paced. I enjoyed it a lot, though! When their mother gets a prestigious job on a far-flung archaeological dig, Emma, Max and Kyle have to go live with their grandfather, since their father was previously killed in Afghanistan. They haven't seen their grandfather in a long time, although he doesn't live far away, because he has checked out from humanity a bit. When the trio arrive, their grandfather tells them he is having a heart attack and that they must investigae the Chronal Engine, a time travel device, that is in his basement. With the housekeeper, Petra, the siblings are check out fossilized sneaker prints when Emma is kidnapped. They chase her back to the Cretaceous period and have to fight not only the kidnappers but a variety of dinosaurs. Luckily, Max is a huge dinosaur buff and his information saves them, even though it occasionally leads them into trouble. Will the children be able to use the time travel to their advantage... survive the dinosaurs? This seemed the like the first book in a series. Strengths: If you have students who liked Z Rex, this might be one to have. Lots of action and adventure, and time travel with no excuses, even there are a few questions about procedure in my mind! Weaknesses: Still having trouble selling time travel, and there wasn't something about this book that just didn't grab me, even though I normally love time travel. Nonfiction Monday was started by Anastasia Suen and is hosted this week at The Nonfiction Detectives. Nonfiction Monday will be hosted here on 14 May. The Technology Pioneers series by Abdo and Daughters are bright, graphically pleasing books on topics which are appealing to students. At just over 100 pages, they are a perfect size for reports. The four that I read all do a good job at going back and forth between the biographies of the people involved and the growth of their products or services. The one exception to this might be the Nintendo one-- because the company goes back to 1889 and run by family members with somewhat complicated relationships, that one was slightly confusing. While there are sidebars, bold faced headings and lots of illustrations, there is enough connected text here to make me hope that students will do more than just look at the pictures. While my rule of thumb is usually to avoid buying biographies of people who are still living, all of these give enough history of the companies that these will remain useful even as the companies continue to grow and change. 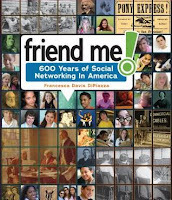 The Social Networking title has been very popular; I will add the book on Google and perhaps Wikipedia as funds exist. Yes, these are $24 each. Why do I not mention the cost of fiction? Fiction is invariably below $20, which is apparently the price point at which I start to cringe. Also, with nonfiction, because there are so few trade sales, the prices are never discounted, and these never turn up at Half Price Books or the thrift store! When I have about 50 books a year lost by students, this is a concern! It's hard enough to get a $6 paperback paid for. I always tell the students NEVER to lose a nonfiction book! DiPiazza, Francesca Davis. Friend Me! 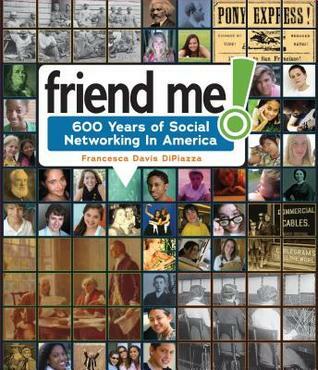 600 Years of Social Networking in America. 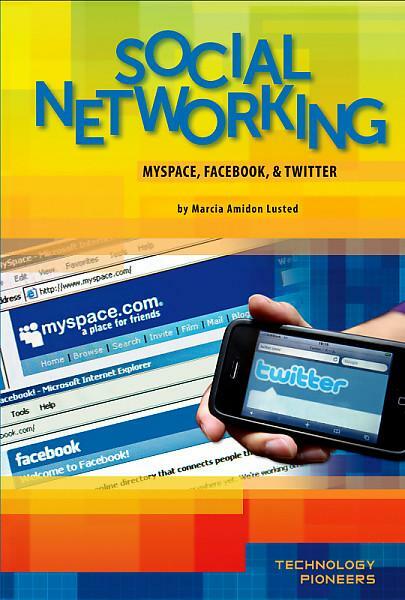 Social networking, up until about ten years ago, was all done in person. There's a shocker for most students today! This interesting book covers all manner of ways that people in different parts of the US connected, from Native Americans to Puritans to slaves to today's technology. I especially liked the inclusion of the Sears catalog. This is a little bit of a bait-and-switch for students who want to read about Facebook, but I hope that they will continue to read the rest of the book, because it has some great history. My only complaint is that the font is rather small, which is often something that will dissuade students from picking up a book. Publishers should do studies on this! Smith, Ann Warren. Bittersweet Summer. Katie and her father and brother are still coming to terms with the fact that her mother is on the road as a country music star, but they hold out faint hopes that maybe she will return. Fourth grade has just ended for Katie, and she is going to miss her teacher, Ms. Morgan, very much. Her friend Claire has a plan-- to get Ms. Morgan to marry her widowed father. Katie thinks that if Ms. Morgan marries anyone, it should be her father! Both families hang out a bit with Ms. Morgan, and they all go to see Katie's mother's concert. Katie's father might have to move the family to Portland for his job, so everything is in chaos. Can Katie make her summer vacation turn out the way she wants it to? Strengths: Like The Turkey Monster Thanksgiving, this is a sweet tale that I would have adored in the third or fourth grade. The cover art is great, and there is a second book in the series, Tails of Spring Break, that I missed. I would certainly get this series for an elementary school library. Weaknesses: Still think this series is too young for middle school students. Sigh. Hudson Avery was a fantastic skater, but when her father has an affair and leaves the family in New York to move to Las Vegas with a female Elvis impersonator, she decides to give it up. It takes all of her time and energy to help her mother run Hurley's Diner, babysit her brother, and keep up with her schoolwork. When she gets a letter about a possible skating scholarship, she thinks about taking up the sport again, especially when she meets hot hockey captain Josh and he wants her to help the hockey team with their techniques. It's hard to fit this in, since the diner is struggling even more and Hudson has to waitress in addition to making fantastic cupcakes for the finer. There are more and more complications as well-- another hockey player, Will, likes Hudson as well, there are issues with a former best friend, school continues to be demanding, and there are unresolved issues with her father leaving. Will Hudson manage to hold everything together, and maybe have a chance at the skating scholarship? Strengths: This somehow reminded me of Mandelski's The Sweetest Thing-- cooking, involved but somewhat dysfunctional family, young adult but appropriate for voracious middle school romance readers. The cover is really pretty, and it is a satisfyingly complex and hefty read. Hudson is a strong character who stands up to the obnoxious hockey boys! Weaknesses: Hudson doesn't always make the best choices, but that is realistic. I could have done without some of the details of the father's affair, but it's not that bad. 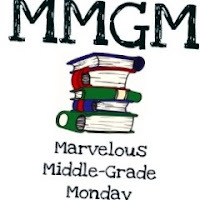 Middle Grade Monday is a feature on Shannon Whitney Messenger's Blog. For a list of great middle grade reviews, visit there today! Today marks the one hundredth anniversary of the sinking of the Titanic. There have been many books published on this events in preparation for this. Here are several of the many title I have come across. And if you are my age and went to summer camp stop singing "Oh, they built the ship Titanic" to yourself. You know you are! This picture book version of the events centers around the real person Ruth Becker who was sailing with her mother and two younger siblings. Ruth's mother is frightened the whole time they are on the boat, but when a porter knocks on their door in the middle of the night with the news that something is wrong but will be fixed, she doesn't immediately dress the children and get them on deck. They do go eventually, and all of them narrowly get on life boats. They are separated, but everyone survives and they are reunited in the end. This would be a good read aloud to younger students who have heard of the event but don't need to know all of the gruesome details. Brezenoff, Steve. Return to Titanic. Tucker and Maya have to spend a boring day in his mother's museum helping to set up a Titanic exhibit. Neither of them are all that interested even though an ancestor of Tucker's was on the ship. When the two are looking at artifacts, they both pick up a ticket... and are sent back in time to the Titanic! They try to stop Tucker's ancestor from getting on but are unsuccessful, so board themselves. Will they be able to make any changes in the outcome of this epic disaster? Book one of a series. Weaknesses: I can't sell time travel at all in my library, and since these books for younger readers tend to be pricey, I won't be buying them.Strengths: Great, easy to read story for stronger readers than Magic Tree House fans. I liked the time travel technique and the graphic set up of the book. Lawson, Julie. Ghosts of the Titan ic. When Kevin finds out that he has to travel to Halifax from British Columbia because his father has inherited a house from Angus Seaton, he is not happy and starts to act up in school. When his class is preparing to visit a Titanic exhibition, he gets in trouble for singing... the Titanic song! Seaton turns out to be a crewman on the Mackay-Bennet and helped retrieve bodies after the ship went down, helping to identify the bodies before giving them a burial at sea. Chapters then alternate between Seaton and Kevin-- Seaton went slightly mad, and Kevin is also haunted by the ghost of Annie, who claims that something was stolen from her young son, Michael. Kevin travels back in time and tries to save Annie, but is only successful in saving Michael. What is the family connection, and why did Annie haunt both Kevin and Angus? Strengths: The information about the retrieval of the bodies is something that I have not read, and credit has to be given to Lawson for acknowledging that awful song! Weaknesses: Kevin is not a likeable character, and the haunting is slightly far-fetched.